Curly haired people find themselves in extreme situations. If the hair is not properly cared for, it can become frizzy and make for a really unsightly appearance. On the other hand, if it is cared for properly, you are rewarded with luscious and extravagant looking curls. When looking for the best hair dryer for curly the focus shouldn’t be on a specific product marketed or developed for it. Rather one should develop an understanding of the points which determine how well a hair blower will perform for their curly hair. 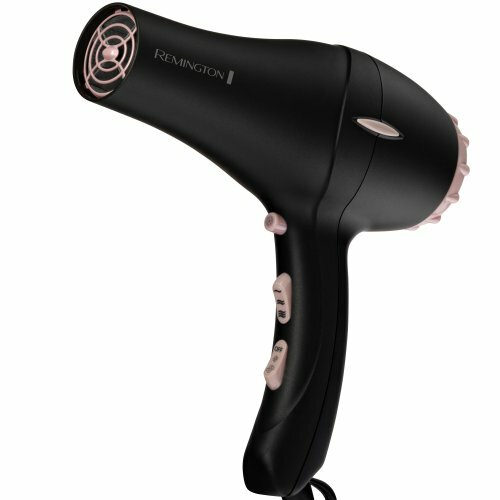 Attachments are found with many hair dryers as a part of the package nowadays. These add-ons are mostly neglected by people as all they need a hair dryer for is to dry their hair and be done with. However, for curly hair, a diffuser can work wonders. Similarly, the cool shot feature really helps in adding that perfect finishing touch. Apart from that, multiple speed and heat settings help when drying sections and other regions. Read on below for a detailed explanation of the different points involved. If you’re simply blow drying; you might not need an attachment as in the Conair 276R, especially if you’re in a hurry. Otherwise for a proper drying session in which your hair is healthy and retains shine; a diffuser is a must. As the name would suggest, a diffuser diffuses the heat in a way which reduces damage to the hair while at the same time drying it using the air. When you use a diffuser on curly hair; it allows the hair to dry in a particular way according to which the hair texture and shine is retained. Furthermore using a diffuser attachment is much healthier in comparison to direct blowing for curly hair. While many reviewers and customers find a minor use for the cool shot feature; you curly haired ones really benefit from this. Once you’ve dried your hair; you can use the cool shot feature to cool down your hair and ‘inform’ the hair cuticles to seal themselves. The cool air from a device such as the Conair 1875 Tourmaline Ceramic causes the cuticles to seal and therefore retain the moisture and natural oils within. Ionizer technology goes both ways when it comes to curly hair. It eliminates frizz but also cuts down on the voluminous look of hair. The ‘taming’ feature of ionizers can be a downside when used on curly hair. Of course, if you’re a stylist or are experienced you can use an ionizing dryer on semi-damp hair and use the moisture as a buffer for optimal results. Curly hair means you’ll be using a hair dryer on the same hair at different intensities and speeds depending on the region and purpose. Therefore ensure that, at a minimum, the hair dryer that you’ll purchase has two heat and two-speed settings (the Rusk W8Less Pro has 7). This way you get to choose between four different settings. Don’t ignore this point even if it doesn’t appeal to you or ‘click’ with you. Once you get experienced with a hair dryer you’ll automatically understand how necessary this is. Concentrators and diffusers come as ‘part of the package’ attachments with most hair dryers; the Andis Elevate being an example. Make sure the one you’re purchasing has this feature and/or is compatible with the attachments available on the market. Your curly hair means you and your hair dryer will be spending a fine amount of quality time together; because hair drying takes a while on curly hair as compared to straight, normal or fine hair. Therefore it is necessary that the hair dryer you get is easy to use. It should have a well-designed handle in terms of shape as well as have rubber grips placed at the edges so that your palm doesn’t fumble with holding the device. 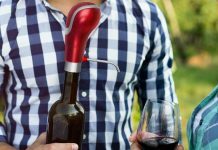 Note that the necessary addition of a diffuser will shift the balance of the device, therefore, making it impertinent to get an ergonomic blower. A hair dryer which runs well with a diffuser, has different running modes, can be used for extended hair drying sessions is the one for you. If you’re serious about your hair then consider getting a professional hair dryer as these run the best with attachments such as diffusers. You won’t encounter issues such as the filter coming loose or the diffuser popping out with a professional hair dryer.